When it comes to auto insurance, Florida offers many choices. Insurance agencies number in the hundreds throughout Northeast Florida alone. So why choose Pablo Beach Insurance Group? Family-owned and operated, Pablo Beach Insurance Group offers superior personal and commercial auto insurance throughout the state at competitive prices, backed with unbeatable service. Living in Florida chances are you own a car. Unlike many other states with extensive transportation systems, Florida is one of the few states where driving is the norm. And as a car owner and driver, you’re probably quite familiar with the way car insurance in Florida works. You may know, for example, that Florida is one of the few “no fault” states. What this means is that if you’re in a car accident and suffer bodily injury, your policy covers medical expenses up to a certain amount whether the accident was your fault or not. At Pablo Beach Insurance Group, we have long-term relationships with each of these car insurance providers. 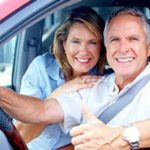 We will match your unique auto insurance needs with the company offering the best policy at the best rates for you. There is no such thing as “one-size-fits-all” auto insurance. Let us thoroughly assess your insurance needs and work with our proven providers to craft a policy and premium that addresses your needs and fits your budget.